South Georgia Football: Does it get any better? It’s a Friday night in south Georgia. The September air is humid and heavy. The players on the field collide and the guy that lives a few doors down from your grandparents comes over the P.A. “First down. Tackle made by number 44”. Then he calls the linebacker by name. Everyone in the stands either knows his mama or went to school with his daddy. High school football in south Georgia. Legendary coach Bobby Bowden loved to recruit South Georgia and always said the Highway 84 corridor held a key to the Florida State Seminoles’ dominance in the 1990’s. 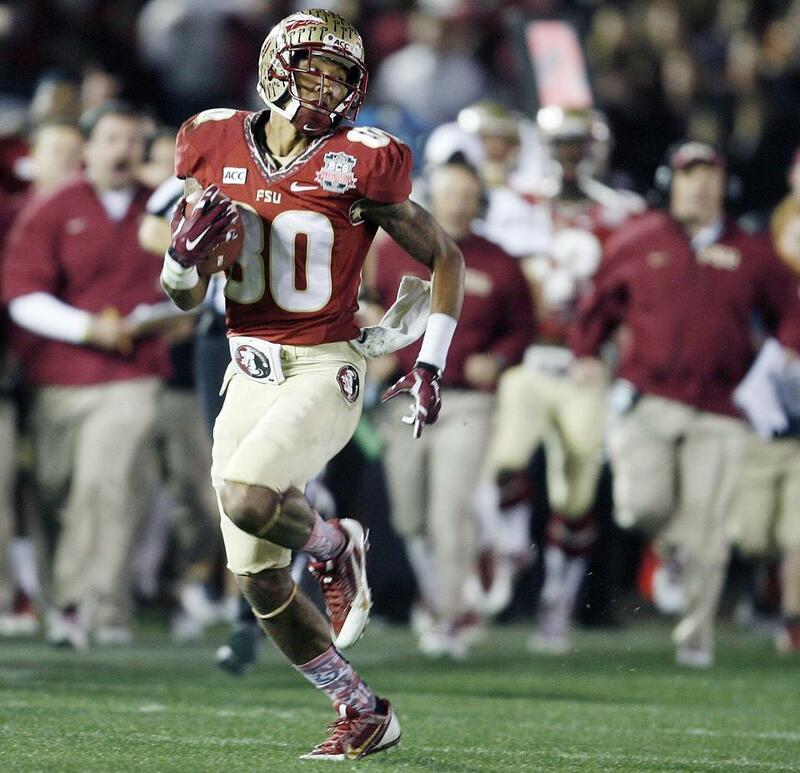 In fact, south Georgia football players were critical pieces of FSU’s historic run. Look no further than Thomasville native, Charlie Ward. Ward broke several NCAA records on his way to winning the school’s first heisman trophy and FSU’s first national championship. Now that FSU is back at the pinnacle of college football, a familiar theme resounds: South Georgia football players. So what makes south Georgia football players so special? At Florida State’s Media day, I was able to follow up with several other FSU players and I asked their perspective on south Georgia football, as well as how it compared to south Florida football (an area of the country that is known for churning out BCS talent). “We go through that all the time. A lot of guys on the team think south Florida football is the best. But I feel like down (in) south Georgia, with the competition, like dirty grinding in football, makes you a much better player. It’s a competition thing.” said Tre Jackson, FSU Offensive Guard from Jesup, GA.
Rashad Greene, a native of Albany, GA catches a pass in the 2013 BCS National Championship Game. Photo by the Orlando Sentinel. “I think just the competition. 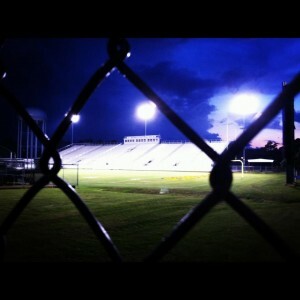 Every Friday night, it’s the best competition in the country.” — Tyler Hunter, FSU Defensive Back (Lowndes County, GA). It didn’t take long to realize the answer to my questions: the physical nature and healthy competition of South Georgia football is what makes this area one of the premier high school talent regions in the country. For years, college recruiters have taken notice. In fact, you’ll find south Georgia superstars on college football teams all over the country. Rivals.com ranks the top high school players in the country every year and it’s no surprise to see south Georgia well represented once again. 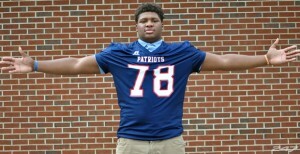 This year, there are three high school players from south Georgia ranked in the top 100 in the country, headlined by number three overall prospect, Trenton Thompson of Albany. In fact, in last year’s national title game between Auburn and Florida State, eleven players hailed from below the gnat line, including Auburn starting quarterback Nick Marshall. Quickly scanning the rosters of Auburn, Florida State, Georgia Tech and Georgia, you’ll find 34 athletes (10% of the combined rosters) from the southern part of the peach state (for clarification, I’m defining “south Georgia” as anywhere below Macon). Not surprisingly, the University of Georgia had the most at 19. 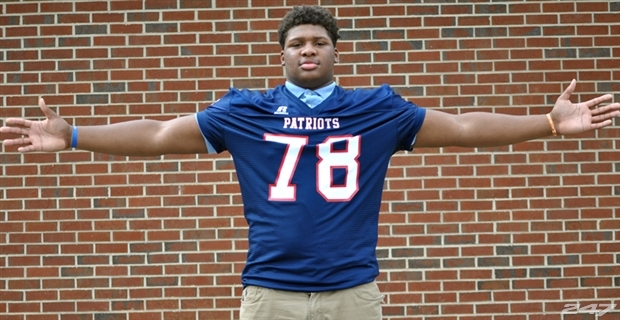 Interestingly enough, you’ll find quite a few “north Georgia” athletes on BCS rosters as well which would speak to the talent level of the entire state. All told, it’s quite simple: If you want to be competitive in major college football, you have to recruit our little corner of the world. As a recruiter, you’ll need to find yourself in small towns such as Colquitt, Pelham, Camilla, Bainbridge, Jesup or Moultrie. You’ll need to visit Donalsonville, Cairo, Waycross and Thomasville. Truth be told, when you’re in the stands on Friday night, those small town football games feel like American football at its best. And it just might be.